Featured physicists have signed photo releases allowing us to use these photos for any publication purposes. Physicists spend countless hours, discussing, and sometimes arguing heatedly about their theories. Chalkboards are the venue of choice for these conversations. During our summer session, the grounds are a popular choice for convening impromptu meetings of the minds. Since we are adjacent to the Aspen Music Festival tent, in July and early August there is often classical music wafting our way. 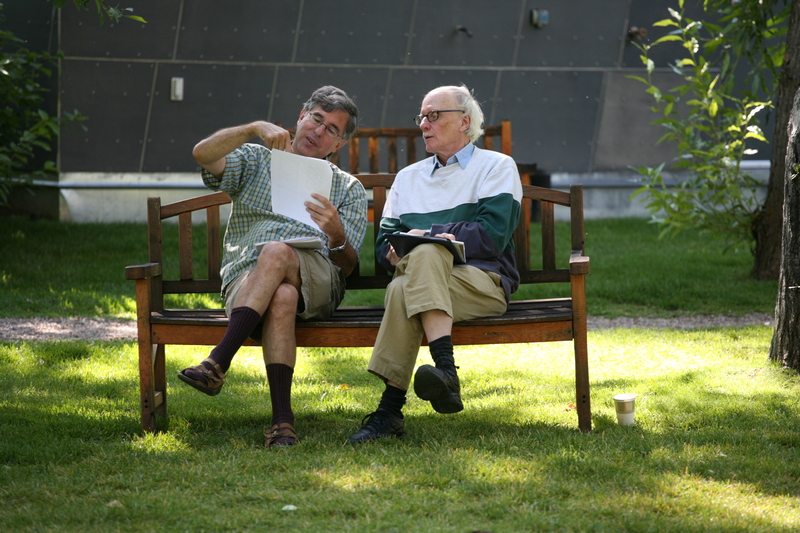 Informal and spontaneous discussions are a singular and signature aspect of summer sessions at the Aspen Center for Physics. Collaborations continue inside in the offices. We assign two physicists to each office, often from different disciplines, and usually from different institutions. 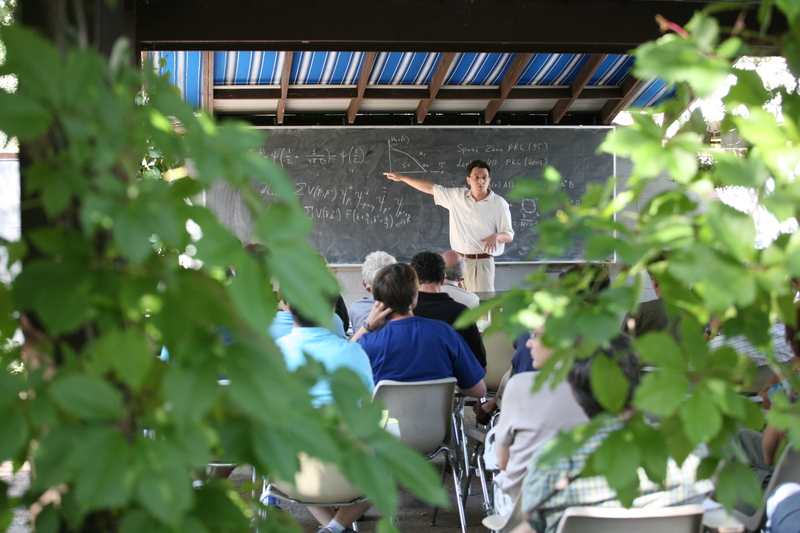 The Aspen Center for Physics prides itself on offering a serence atmosphere with little structure, yet formal presentation of research results and ideas is included in the summer schedule. When applying for admission, the Center encourages physicists to consider coming to do individual research to work on their own projects. Of course, all physicists in attendance are encouraged to attend any meetings, whether or not the subject is in their specialization. 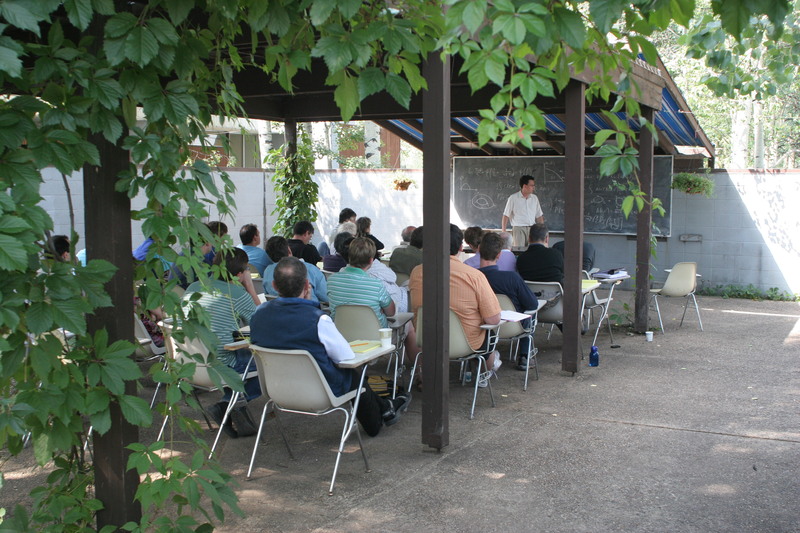 The Stranahan patio is a popular venue for summer meetings. Presenters forego Power Point for chalk talks, which foment more discussion than electronic presentations. Another unique feature of Aspen physics summers is the opportunity for physicists to collaborate across fields. 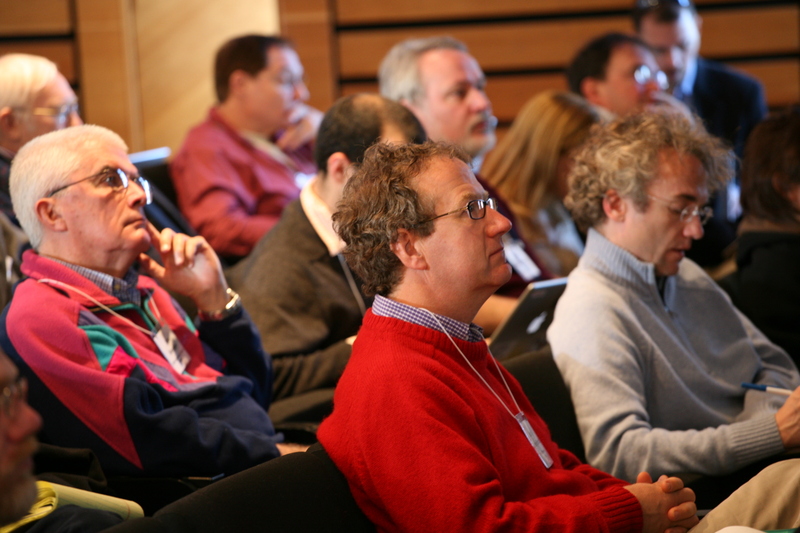 We encourage particle physicists to intermingle with bio, astro or condensed matter physicists. When ideas spark across specialized lines, the possibilities for greater understanding expand. 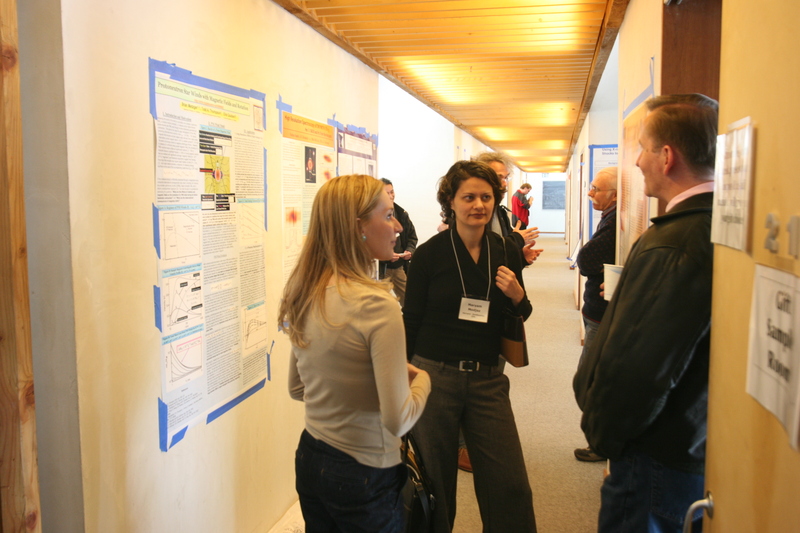 During winter conferences, many organizers invite participants to bring posters. 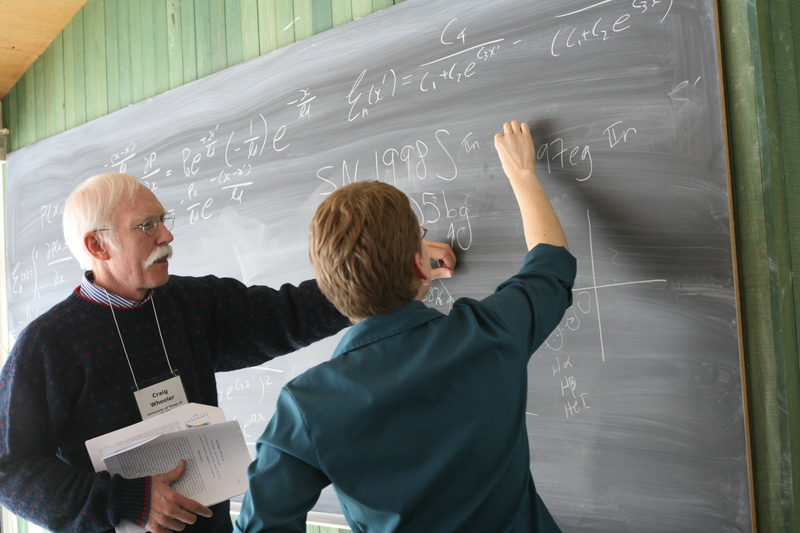 Physicists' conversations then continue in the halls as they discuss the ideas presented.